Christopher Paul Carey, as the new Director of Publishing, will work closely with Jim Sullos, President, and Cathy Wilbanks, Vice President of Operations, on all aspects of the company’s publishing division, including exciting new initiatives to be announced in the future. Mr. Carey brings a wide breadth of experience in the publishing industry to the company. 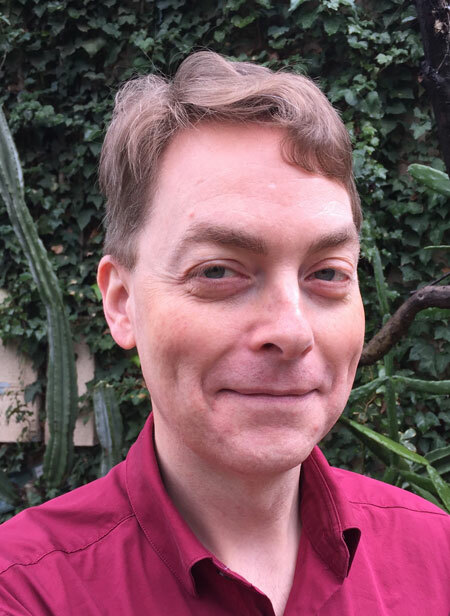 For the past decade, he has been integral to the success of Paizo, Inc., publisher of the bestselling Pathfinder and Starfinder roleplaying games, where he was Senior Editor and worked on the Pathfinder Tales and Planet Stories fiction imprints. Mr. Carey has edited the works of both classic and contemporary science fiction and fantasy authors, including more than 60 novels, anthologies, and collections for a variety of presses. He is the critically acclaimed author of five novels, a nonfiction collection, and numerous short stories and comic book scripts, including several authorized works set in the worlds of Edgar Rice Burroughs. Mr. Carey holds a master’s degree in Writing Popular Fiction from Seton Hill University. From its Tarzana, California headquarters, Edgar Rice Burroughs, Inc. administers the intellectual property of American author Edgar Rice Burroughs (1875–1950), one of the twentieth century’s most prolific and enduring writers. Mr. Burroughs’ 80+ novels and 40+ short stories have been adapted into 61 feature films and 249 television episodes, and are featured in comic books, video games, apparel, and other merchandise. Through worldwide ownership of copyrights and trademarks, Edgar Rice Burroughs, Inc. has overseen every adaptation of his literary works in film, television, radio publishing, and theatrical stage productions. The company, which licenses the copyrights and trademarks of Mr. Burroughs’ fictional heroes, including Tarzan of the Apes®, John Carter of Mars®, Carson Napier of Venus™, and many more, is owned by his heirs and operates from offices the author built in 1927 on the site of his former Tarzana ranch in the San Fernando Valley.